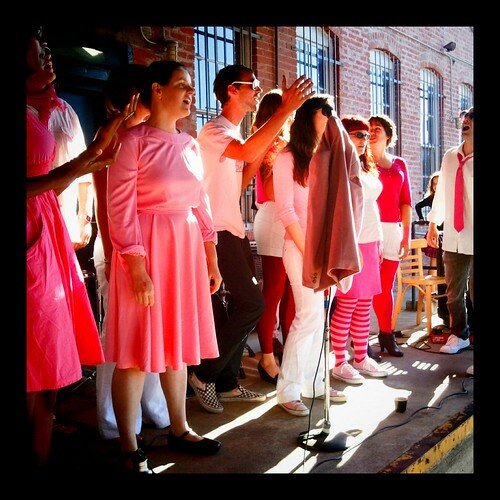 The Oakland Soft Rock Choir was founded in 2008, and has been providing quality soft-rock vocals to the public on an as-needed basis ever since. Located in Oakland, California, its choir members have entertained thousands of people in San Francisco Bay Area parties, house concerts, art galleries, museums and fine dining and drinking establishments. Consider enlivening your next social event with our chart-tested, demographically diverse vocal stylings! What's your exclamation? I have a gig! I want to join! I have an idea!